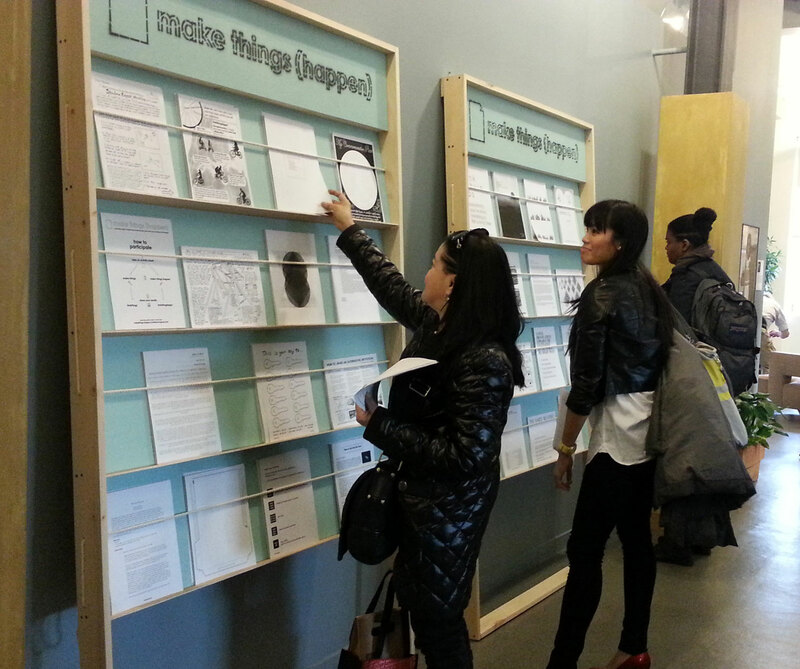 Make Things (Happen) is a participatory project organized by Christine Wong Yap featuring 29 artist-created activity sheets to make things or make things happen. Activity sheets freely available in Make Things (Happen) at Social in Practice at Nathan Cummings Foundation, NYC. Artists: Lauren F. Adams, Oliver Braid, Maurice Carlin, Kevin B. Chen, Torreya Cummings, Helen de Main, double zero, Bean Gilsdorf, Galeria Rusz, Sarrita Hunn, Maria Hupfield, Nick Lally, Justin Langlois, Justin Limoges, Jessica Longmore, Mail Order Brides/M.O.B., Meta Local Collaborative, Roy Meuwissen, Dionis Ortiz, Kristina Paabus, Piero Passacantando, Julie Perini, Risa Puno, Genevieve Quick, Pallavi Sen, Elisabeth Smolarz, Emilio Vavarella, David Gregory Wallace, Lexa Walsh.